Just the way I expected, a little bit heavy but nice. We have so much fun with this board. Every once in a while, like all electronics, it needs a reset. That was annoying the first time as we thought it was a goner, a pretty spendy goner, but we have had nothing but fun since. The kids and adults love trying it out, which is funny to watch and amusing all at the same time. 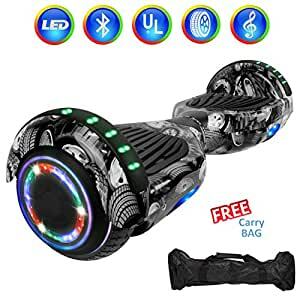 It have really good self balancing and it very fluid in it’s movements. All around quality product and my daughter couldn’t be happier. Love love love hours of fun for my daughter great summer birthday gift. We got gold and it seems to scratch fairly easily but other than that we are amazed.